Kratom (Mitragynaspeciose) that originally grows Southeast Asia is now known in many parts of the world because of it potential medicinal benefits. On the other hand, many agencies, countries and groups are under debate on whether they should impose a ban or make the use of Kratom legal. In Thailand where Kratom abundantly grows, lawmakers are considering withdrawing the Kratom Act 2486, a 70-year old law prohibiting the use of Kratom in the country. Kratom should be legal because it’s known to be relatively safe and natural among its proponents who have used it to treat chronic conditions. It is a plant that grows with herbal and medicinal benefits. It is not processed and synthetic like heroin and other narcotics. As the matter of fact, Kratom is used as a tea ingredient in some Asian nations. Kratom should be legal because is less addictive. Another fact according to Kratom users is that it is less addictive than any of the substances people are hooked into like coffee and sugar. 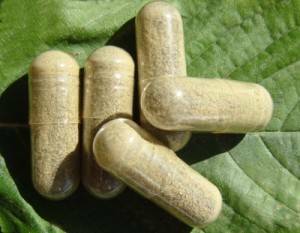 There are many medicinal benefits of Kratom. There are numerous medical uses of Kratom. Since date in memoriam, early settlers of Southeast Asia – until today, have been using Kratom to aid diarrhea and relieve pain. It is then later used as a sedative and a natural remedy for substance addiction. Legalizing Kratom will open a broad avenue of employment and market for herbalist and natural medicine practitioners to share their natural method of healing.